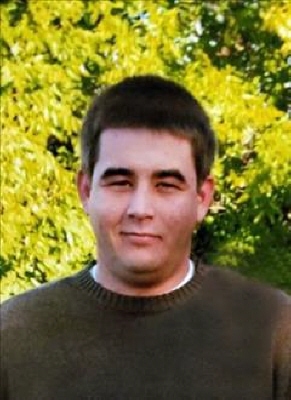 Carl Ryan Perry, 34, of Altus, Oklahoma, passed away on Saturday, April 13th, 2019, surrounded by his family. Ryan was born on December 18th, 1984, to Donnie and Charlotte Perry. He attended Altus Public Schools. Ryan was a "walking gun encyclopedia" because he was extremely knowledgeable about them and loved going to shoot and collecting guns. He also loved animals and none compared to his dog Max, whom he loved deeply. Ryan also loved boating and enjoyed riding his motorcycle, along with listening to Red Dirt and 70's music. His most favorite thing, which he looked forward to everyday, was going to breakfast with his dad. Ryan was preceded in death by grandparents Carl and Rosline "Boss" Perry and Tom and Ruth Paulk and an aunt, Diane McNutt. He is survived by his parents, Donnie and Charlotte Perry of Altus, OK; sister, Catelyn Perry of Chickasha, OK; aunt, Diana Robins and husband Harold of Altus, OK; uncle, David Paulk and wife Debbie of Blanchard, OK; several cousins; and a good friend and roommate, Richard Reynolds. The family will greet friends on Thursday, April 18th, 2019, from 6-8pm, at Lowell-Tims Funeral Home in Altus. Funeral services will be at 2:00pm on Friday, April 19th, 2019, at First Baptist Church Altus. Burial will follow at Navajoe Cemetery in Friendship, OK under the direction of Lowell-Tims Funeral Home and Crematory, Altus, Oklahoma. To send flowers or a remembrance gift to the family of Ryan Perry, please visit our Tribute Store. "Email Address" would like to share the life celebration of Ryan Perry. Click on the "link" to go to share a favorite memory or leave a condolence message for the family.